On Thursday, General Electric said it was cutting 12,000 jobs at its worldwide power business, the latest effort by the industrial conglomerate that continues to struggle as it shrinks itself into a company with more focus. The company, which is based in Boston, is making the cuts to save more than $1 billion during 2018 at the Power business. It said it was expecting dropping demand for power plants powered by fossil fuel to continue. The cuts by GE follow the decision by its big rival Siemens to cut 6,999 jobs as electric utilities make a global shift to renewable energy sources like solar and wind and away from the traditional fossil fuels. GE has not given any breakdown about its job cuts, which are approximately 4% of the company’s overall workforce that is currently at 295,000. GE would only say that most of the job cuts would be outside the U.S. The job cuts represent approximately 18% of the Power business workforce. This announcement has cast a big spotlight on the decision by GE to spend more than $10.7 billion to acquire Alstom the energy business in France in 2015. That deal completed the Power’s portfolio for GE by adding nuclear and steam capabilities to what was mainly a power business consisting of natural gas turbines. However, that purchase took place just when demand for more power plants began to slow, in part because of competition from solar and wind systems. Rumors of big job cuts by sources in labor unions were confirmed on Wednesday, with staff in Germany, Britain and Switzerland amongst those hit the hardest. Unite, Britain and Ireland’s largest trade union, said that GE’s announcement had put over 1,100 jobs at risk. It added that it would fight against compulsory layoffs within the UK. 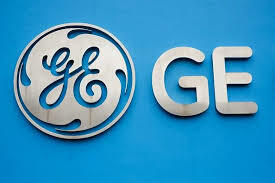 However, GE said its cuts were needed, since new power plants sales are dropping. Industry experts estimate sales of between 110 and 120 new turbines per year that are gas-powered, but GE and other major suppliers have a capacity that is almost four times that amount. A senior executive at GE said that jobs would not be hit in France because of the agreement GE made when it purchased Alstom. John Flannery the new CEO at GE outlined last month his plans to shrink the sprawling empire of GE businesses that were built up by both his predecessors Jack Welch and most recently Jeff Immelt.